A few years ago, when my family was first deciding whether or not to go solar, I remember driving around the neighborhood, looking at all the solar arrays on nearby rooftops. 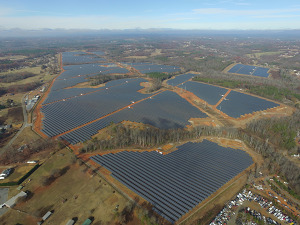 It made me realize: Wow, solar isn’t some futuristic concept, it’s already part of the fabric of my town! Seeing that others around me were already benefiting from solar helped me decide to do the same. We want to make it easy for people to make informed decisions about whether to invest in solar. Project Sunroof already shows you solar potential and cost saving for more than 60 million individual homes. Today we’re adding a new feature, Project Sunroof Data Explorer, which shows a map of existing solar installations in neighborhoods throughout the United States. Now instead of driving street to street, it’s a little easier to see if houses around you and communities nearby have already gone solar. 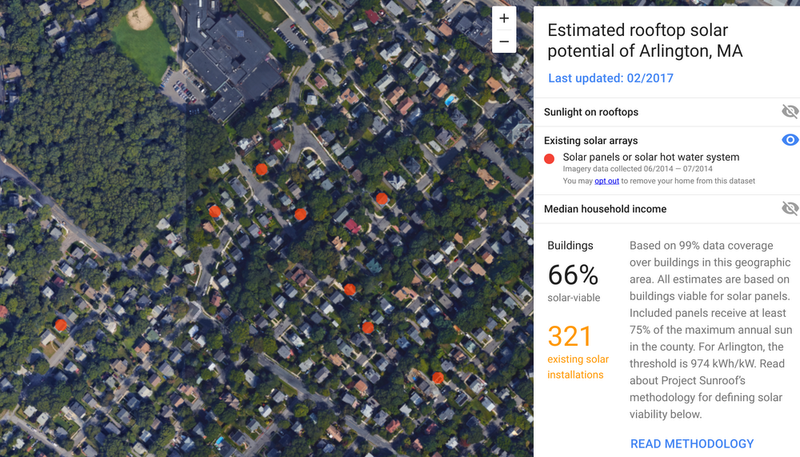 This feature combines machine learning with imagery from Google Maps and Google Earth to provide an estimate of how many houses in an area have solar. We started by taking in high-resolution imagery of rooftops and manually identifying solar installations. We then used that data as the initial training set for our algorithm. After many iterations, our machine learning algorithms can now automatically find and identify installations in the imagery (both photovoltaic panels, which produce electricity, and solar hot water heaters). Even for machines, practice makes perfect! 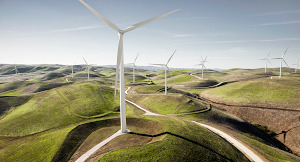 So far we’ve identified around 700,000 installations in the U.S. and over time, as we continue to train the algorithms and apply improvements, we will be able to find and show more installations. 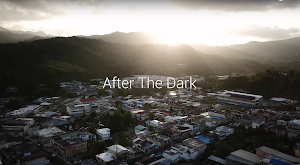 We hope that this new feature will provide policy makers, communities and individuals with more information to help make smarter decisions in their transition to cleaner power sources.